Posted in English, LinkedIn on May 26, 2017 by Alisha Debara. Written by- Kamini Taneja, Academic Manager, British Council. Sounds familiar, doesn’t it? We see sentences like these in emails all the time. However, it’s not the most effective way to write since it doesn’t state what needs to be done and by when. Emails need to be written as clearly as possible to avoid causing confusion, especially when transacting with partners/stakeholders overseas. A common complaint among Learning and Development managers is that their team members, while excellent in technical skills, can’t communicate successfully in writing. This leads to a lot of time being spent correcting and proofreading emails before they are sent out. This is especially true when emails are written to senior managers or important stakeholders. Furthermore, it has a negative impact on employee productivity and decreases efficiency. Business communication is heavily reliant on emails – an indispensable tool in the business world today. So let’s look at the 5 Cs of email writing. Complete: This is about stating your purpose up front and providing the right amount of information. It is a good idea to explicitly state what action will follow and when, and who will do it. For example, let’s look at an email that starts with the sentence ‘I am writing to enquire about the new photocopier model manufactured at NEWX.’ Is the purpose/reason for writing clear or obvious? We usually state the reason for writing in the opening sentence of the email. It is also vital that all information is logically presented in the message. Clear: This relates to using specific language. Which of these sentences specify exactly what action is required from the reader? We might extend the deadline to some extent on the condition that necessary measures are taken in a timely fashion. You now have until 31st March to remove all machinery from the site. Additionally, using linking words, paragraphs to logically connect ideas is of utmost importance. Can you spot any errors in these sentences? You got that right – information is an uncountable noun so doesn’t take a ‘s’. The second sentence can be written as ‘I received the letter on Monday.’ We use the past simple to state completed actions in the past (i.e. the action of receiving the letter is complete). The use of present perfect, in this case, brings together two contradictory elements: I have received the letter (recently received the letter) on Monday (with a past time phrase, time that is complete and over). Grammatical accuracy plays a big part in how you come across to the reader and if the message was received as intended. Remember, words are powerful, but the right words are dynamite. The recommendation I have, and this is the area which I will now address in this section, is that relating to the issue of whether we need to provide refreshment for the employees of our company. It being my considered opinion that in fact, it would save time if the aforementioned meal could be provided by our company rather than having the employees go outside for any eventual refreshment. In order to save time, my recommendation is to provide refreshment to all staff in the office rather than having them go out. Courteous: Our relationship with the reader influences our choice of language (formal/informal). When talking to your reader, you need to tailor your writing to fit their specific needs. One needs to consider what the tone of the message is and strike the right level of formality. If you like the article, share it with someone who will like it too! The British Council works with top companies across sectors to design customised business communication-related solutions targeting specific needs. Our Business English Training programmes are highly relevant, practical and customised to the requirements of the company. Our interactive, communicative methodology helps us create a unique and engaging learning experience for every participant on our courses. To set up a consultation with one of our experts, contact Alisha Debara on +91 9643200831 or email us on B2BTrainingSolutions@britishcouncil.org. Think meetings are a waste of time? Think again. 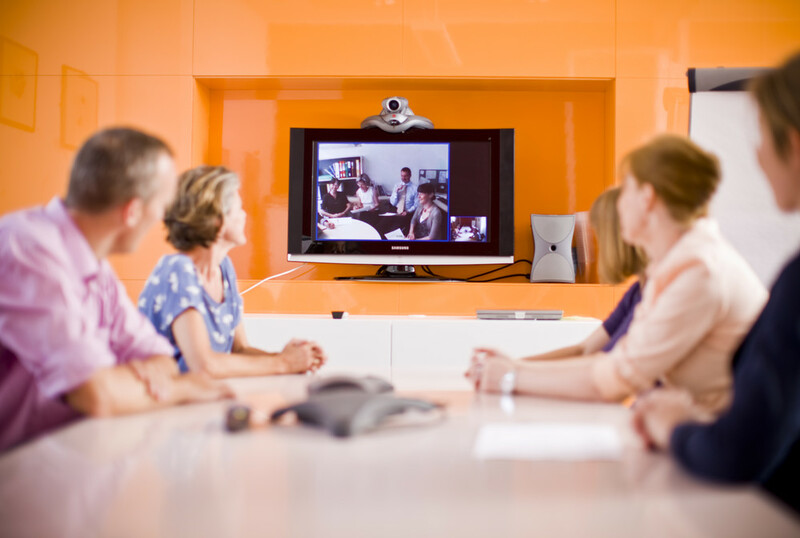 Our top tips for managing meetings effectively can help you make meetings matter! What’s usually your first thought when you get a meeting request? Why am I even invited for this? Once you clearly define your objectives, you might even find that a meeting isn’t the best medium to achieve a particular outcome. That’s ok. In fact, that’s good! Maybe a shared, collaborative document or an online meeting platform such as Zoom or Skype for Business can help your team review a proposal in real time. Perhaps project updates can be shared more effectively through a project management tool or communication platforms such as Basecamp, Asana or Slack. The meeting actually starts when the invite is sent out, not when the physical meeting takes place. Meetings can be way more productive if you use appropriate ways to engage your invitees even before the meeting happens. This could be done by sharing a clear agenda so people know exactly what they can expect or giving a pre-meeting task that they have to complete before they come to the meeting. For important or sensitive topics, where you want people to collaborate and don’t want any surprises, use the pre-meeting time to approach the key players attending the meeting. Get a preview of their thoughts on the meeting even before it happens. This will also help you anticipate concerns or questions or challenges so you can go into the meeting with clear solutions. If you know someone who spends a lot of their time in meetings, share this article with them. The British Council works with top companies across sectors to design customised business communication-related solutions targeting specific needs. To set up a consultation with one of our experts, contact Alisha Debara on +91 9643200831 or email us on B2BTrainingSolutions@britishcouncil.org. Planning your company’s L&D strategy for 2017? Written by- Tapsi Chhabra, Academic Manager, British Council. With rapid globalisation, English has emerged as the lingua franca for international business. Add to that the rise of the internet, and you have a situation where there is a high demand for proficiency in using English a.k.a the ‘universal language on the internet’. Even within organisations, English takes centre stage. Need to share information with your team? Write an update on Yammer or Basecamp. Need to report to the CFO on numbers? Make a presentation. Considering all of the above, here are the three main reasons why English language training should be your top L&D priority for the year. Non-standard English aka ‘Indianisms’ in international contexts can cause confusion and pose barriers to building good business relationships. If not corrected, they may even lead to communication breakdown. For instance, the oft-asked question What’s your good name? may confuse an expatriate colleague or a native English speaker. That’s because this is a direct translation of the Hindi expression, ‘Aap ka shubh naam kya hai?’ and the use of the adjective ‘good’ needlessly complicates a very simple question. Instead ‘What is your name?’ works for all situations. Did you know that we spend 28 per cent of our work week reading, writing or responding to emails, and a whopping 35 percent on meetings? That’s because most communication on emails and in meetings is to get things done. When employees improve their Business English, messages conveyed are clear and the need for clarification is drastically reduced. On the whole, employees are better able to grasp what is expected of them and perform tasks more effectively. In addition, many companies report that highly paid senior managers often have to edit presentations and emails riddled with a non-standard use of English. If that’s the case in your organisation, it may be time to think about English language training. You may have hired people with excellent technical skills, but are they able to lead on projects that require a high level of communicative competence? Equipping these techno-wizards with the ability to use language effectively empowers them to embrace leadership and take initiative beyond their basic job responsibilities. Don’t be surprised when a middle manager who recently attended a negotiation skills workshop cracks that deal with a coveted client all on his own – yes, the one that the management has been eyeing for months! So tweak that L&D plan today – save costs and shape leaders by making language learning your top priority for 2017! Have you struggled with communication breakdown at the workplace and a high cost of training? What do you look for in language training programs? Comment below and let us know. The British Council works with top companies across sectors to design customised business communication related solutions targeting specific needs. Our Business English Training programmes are highly relevant, practical and customised to the requirements of the company. Our interactive, communicative methodology helps us create a unique and engaging learning experience for every participant on our courses.